Enter to win the Ultimate Beach Bag Prize Pack from Well.ca! 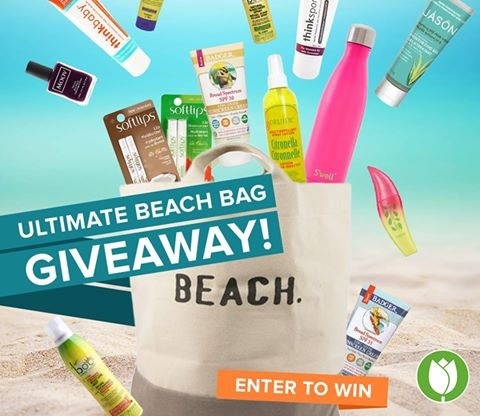 You could win 1 of 3 Ultimate Beach Bag Prize Packs filled with some of our favourite summer essentials from Fluf, SWELL, thinkbaby thinksport, Badger Balm, Boo Bamboo, DRUIDE Organics, MOOV Cosmetics, Physicians Formula, Softlips, and more! Each prize includes 1 Fluf Beach Tote filled with some of our favourite summer essentials to get you beach and pool ready. Click on the link below to enter, there are 5 ways to enter. Open to Canadian residents only. Ends June 26, 2016 at 11:59 pm.